Rheology modifier has been produced and applied in China for more than 30 years. It is the complex of montmorilonite / quaternary ammonium salt produced from raw bentonite. 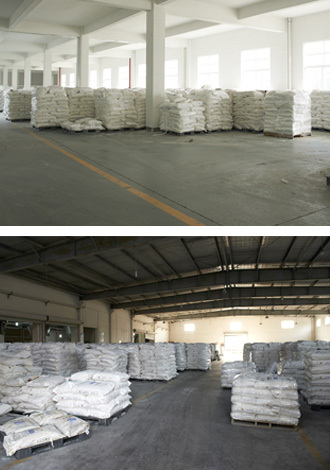 Bentonite's main ingredient:montmorilonite which has layer structure. There is a net negative surface charge on the bentonite, inorganic cations offset this change imbalance on the exctrernal and internal surfaces of montmorilonite crystals. There cations can be replaced by inorganic cations forming rheology modifier. Rheology modifier can form gel when meet various organic solvents, oil, and liquid resin. Rheology modifier can be widely applied in various systems to increase viscosity, provide thixotropy, prevent pigment settling during storage, improve flowing and leveling, improve high temperature stability, lubricating property, film forming property, water resisting property and chemical stability. Also it can be applied in coating and painting industry, lubricating grease, ink industry, oil drilling industry, polymer material industry and so on. Rheology modifier has been produced and applied in China for thirty years. It is a montmorillonite / rheology modifier ammonium compound as the raw material, the use of lamellar structure of the montmorillonite and bentonite capable of swelling clay dispersed colloidal level characteristic in water or an organic solvent, by ion-exchange technology intercalated organic coating agent made of. Rheology modifier in all kinds of organic solvents, oils, liquid resins capable of forming a gel with good thickening, thixotropic, suspension stability, high temperature stability, lubricity, film-forming, water resistance and chemical stability , particularly important applications in the coatings industry. In addition, in ink, grease, metallurgy, oil drilling and other industrial polymers also have a wide range of applications. Rheology modifier principle is: Montmorillonite is a unique performance of aluminum silicate mineral consisting of two layers of Si-O tetrahedral sheets sandwiching a layer of AIO (OH) consisting of two octahedral sheet lamellar minerals. Montmorillonite structural unit layers Si4 + can be replaced Al3 +, Al3 + is often Mg2 +, Fe3 +, Zn2 + and other multivalent ion replacement octahedral layer, so that the lattice charge imbalance, resulting in surplus negative charge, it has ability to adsorb cation and anion exchange, a higher hydration energy, the force oxygen barrier and oxygen layer between C axis (layer sheet stacking direction) of the crystal layer is small, it can form a good surface dissociation, Ease immersed interlayer water molecules or other polar molecules, causing swelling of the C-axis direction. This is the other non-swelling clay does not have the performance. Because of this performance, so full of montmorillonite interlayer water and exchangeable cations, which is the driving force caused by the expansion of montmorillonite. However, different metallogenic conditions of different rheology modifier, montmorillonite between its exchangeable cations types and exchange capacity (CEC) are very different. Among them, high interlayer cations (Ca2 +, Mg2 +, etc.) montmorillonite electric double layer thin film hydration, swelling multiple low; Low cations (Na +, Li +, etc.) thickness of hydration, swelling high multiples. 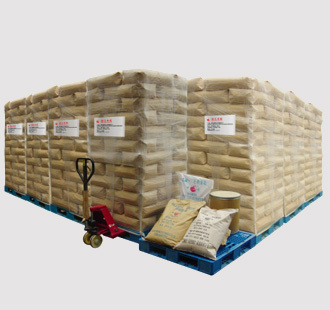 Generally the main types montmorillonite adsorbed cations to name, such as Ca2 + mainly between layers is called calcium bentonite to Na + is called sodium bentonite-based, organic cation is mainly known as bentonite . Available montmorillonite cation ion exchange properties to convert calcium montmorillonite or a sodium magnesium-based group and then reacted with an organic cation producing rheology modifier. Preparation of rheology modifier is generally divided into: wet process and dry process (also known as semi-dry process), the most commonly used is a wet process. For optimal efficiency gel, methanol and ethanol are required to contain 5% of water, methanol or ethanol containing water, the viscosity increases rapidly while using anhydrous methanol or ethanol gel is not ideal.